Summer wasn’t supposed to have officially begun in February, but I guess summer didn’t know that!! It arrived very early on this year with the scorching sun making it difficult to step out after just 10.30am. Humidity was high too and this meant a change HAD to be made soon. Simple changes like the temperature of bath water, switch in shower gels which had a more summery fragrance, better air-freshners in the house, etc. It also meant that I needed to change daily skincare for my combination skin, with a stronger SPF and an easier ‘summer-ready’ makeup routine. Garnier BB Cream – This ‘no-fuss’ BB cream comes with SPF24 UVA/UVB Protection. The cream comes in one shade that blends very well into any skin tone. If you want coverage, then I’d recommend Lakme CC Cream SPF20. It has great coverage and the Sun protection factor isn’t bad as well. I prefer Granier this time of the year, because when I am going out in the hot sun to pick up D from school, I am a little more worried about sun protection rather than coverage. Take your pick, both these creams are really nice! 2. Lakme Eyeconic Black and Miss Claire Waterproof eyepencil - I need my eye pencils and my kajal. For so many reasons – they define my eyes and make them stand out behind my glasses; I can play with colours on my eyes, if I am not in a mood for any other kind of makeup; I can match these to my outfits, etc. I love them for all these reasons and more so when they come as reasonably priced, great quality eye pencils, I know I will use them long term without getting bored midway. The Eyeconic Black needs no introduction and is everyone’s fav everyday kajal (so I’m told..yet still given tough competition by the Maybelline Colossal Kajal). 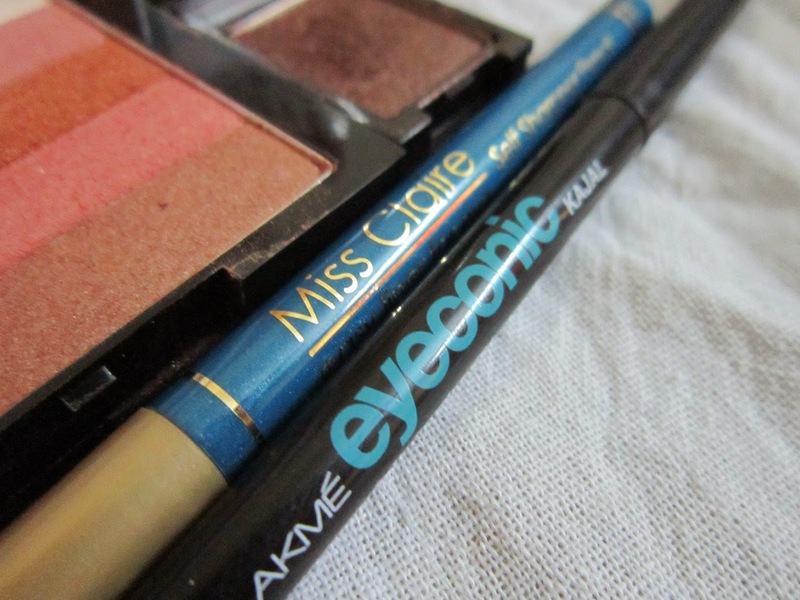 The Miss Claire eye pencil in Royal Blue no. 19 was a surprise find in Pune, when I went shopping with my sis-in-law. Priced at only Rs.90/-, I now wish I had bought this in other colours as well. This pencil has made its way into my daily routine, because the colour matches (..almost matches) my denims! So whether or not I have a bright lipstick on, I will always have a pop of colour on the face. See, Summer – Ready eyes! 3. Revlon Shadowlink in Java – Aah! What do I say about this lil fellow! He’s my fav, be it a neutral everyday wash of colour on the lids, on its own OR a beautiful crease colour to compliment a dark smokey eye, this lil guy is always ready to help! Look at the dents I’ve made in it LOL that shows how much I love it and reach out for it everyday. 4. 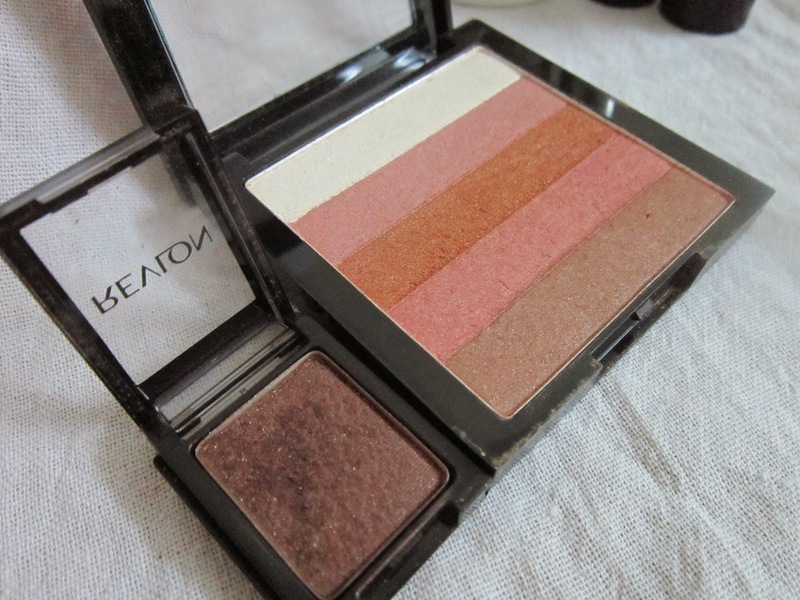 Revlon Colorstay Highlighter in Bronze Glow – I was never into ‘Highlighters’ and ‘Bronzers’. I firstly thought they were unnecessary and more importantly, too much work…like I already didn’t have enough to do (Lazy Lazy!!). This product has proved me wrong and how! This quick-to-apply bronzer gives me a healthy glow as opposed to the ‘Vampire-like’ look that I get without it. A ‘foundation-only’ look makes me look very pale and this product helps with adding colour (read Life!) to my face. I use the cream coloured strip in the product to highlight the inner corners of my eyes and the brow bone. Also, the individual strips can be used as eye shadows as well! 5. 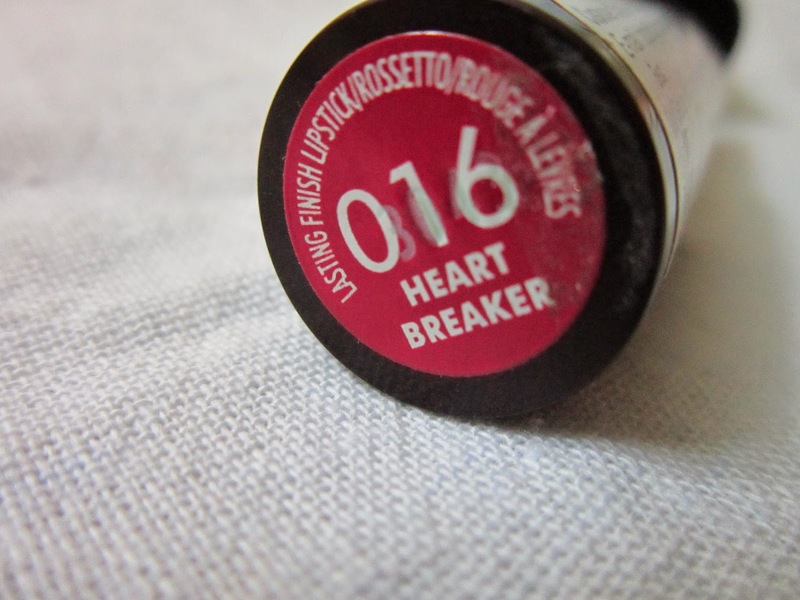 Rimmel London Lasting Finish Lipstick in 016 Heart Breaker – I had absolutely no idea that Rimmel London had counters in malls. I was accompanying a friend to a mall near her house, when I found that there was a Rimmel London counter there, along with the other well known brands. I had a particular colour in mind from one of the other brands and was tempted to buy that, but when I came to know that I could get 2 Rimmel lipsticks for that price, I stuck with Rimmel. Also, I had never tried out RImmel London products before. I brought home no.016 Heart Breaker and no.020 Cutting Edge. Heart Breaker is a beautiful, warm pink, great for summers and amazingly easy on the pocket. 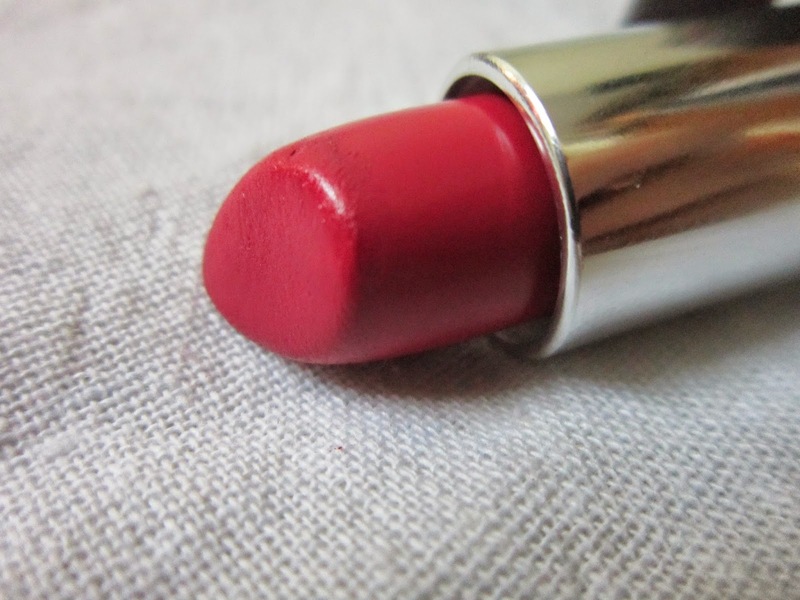 Priced at Rs.250/- these lipsticks are semi-matte, long lasting, smell like bubblegum and are overall awesome! So these are the main products I reach out for since the weather decided to go all crazy on us! 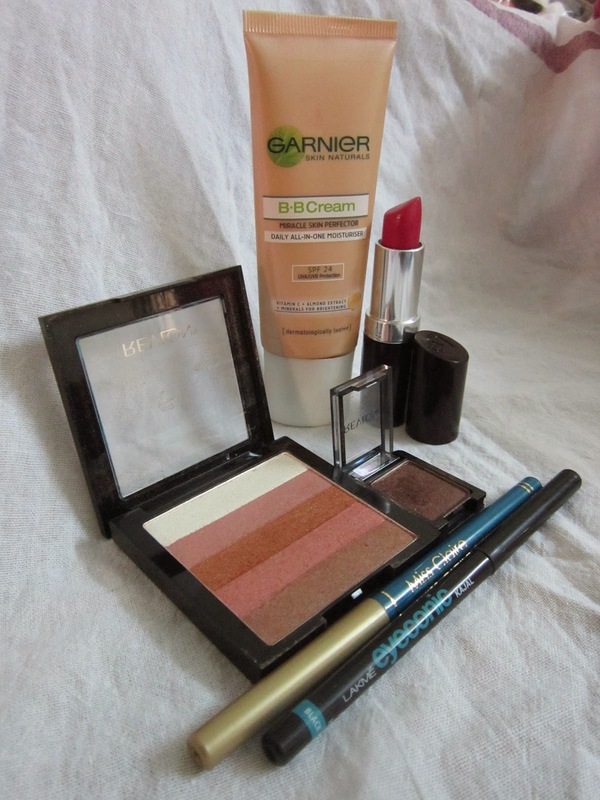 Apart from these, here are some other pics of products that I use every now and then. Hope you liked this post! Do leave a comment telling me some of your favourite products, this summer! Bye! 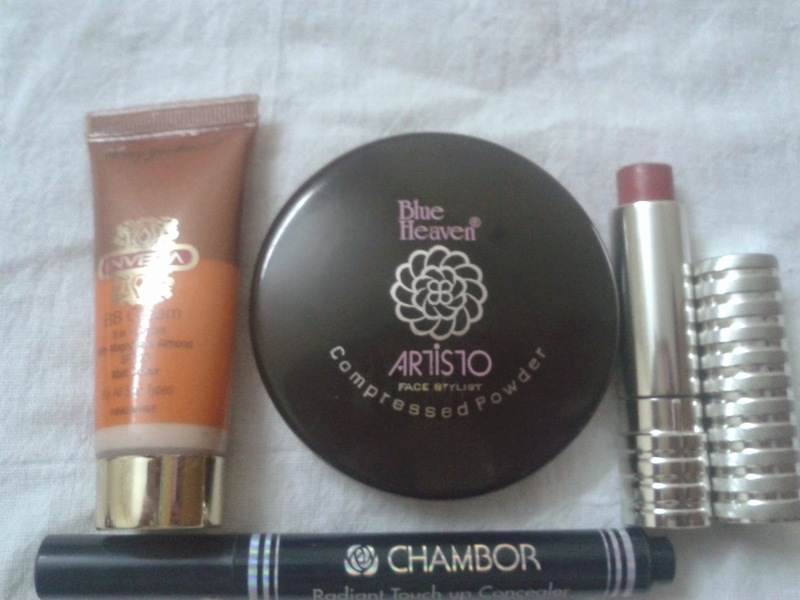 Hi Arpita, I really like the Chambor concealer. I have never faced an issue with creasing with it. It goes on creamy & dries to a matte finish on me, once I have blended it out. Thanks Shahneela! :-) I'm glad you liked it. Really interesting blog you have there...going through it right away..!